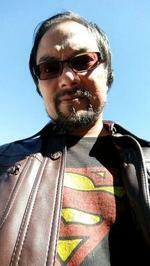 Jason Tanamor is the Editor and Founder of Zoiks! Online. Zoiks! Online offers the best in stand-up comedy and music. He has 10 plus years of experience as an entertainment writer/interviewer for Yahoo!, the Moline Dispatch/Rock Island Argus, Cinema Blend, Celebrity Cafe, Strip Las Vegas Magazine, Pulse Magazine and Zoiks! Online. Tanamor has interviewed the likes of author Chuck Palahniuk (Fight Club); comedians Demetri Martin, Jim Breuer (SNL, Half Baked), Aisha Tyler (Talk Soup, The Ghost Whisperer), Hal Sparks and Gabriel Iglesias; musicians Billy Corgan (Smashing Pumpkins), Ann Wilson (Heart), Taylor Momsen (The Pretty Reckless and Gossip Girl), Chad Smith (Red Hot Chili Peppers), and Henry Rollins (Black Flag); and actor Oscar Nunez (The Office). He has covered everyone from Steve Martin to Jerry Seinfeld and from Evanescence to President Obama, and was THIS close to interviewing TV legend Betty White until someone who rhymes with smublicist put the kibosh down. He also is the author of the novels The Extraordinary Life of Shady Gray, Hello Lesbian! and Anonymous. This is an odd, very bizarre novel, I mean it in a good way of course. At first I wasn't sure about it, I was thrown off with who was who and the fact that two of the drama dolls are men dressed up as cheerleaders made it confusing for names. Once I figured out who was who I started to get into the story. This is a story of Jeff, who recently lost his wife. Jeff is grieving but in a different way then most. He meets Lena in a counseling group, she lost her husband. Jeff has meet William who likes to dress up as a girl. 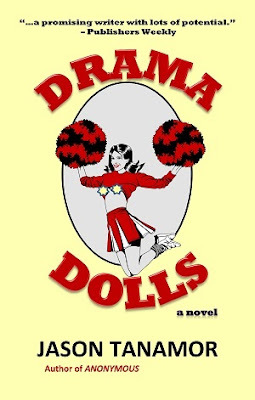 Jeff starts dressing up as a cheerleader with William and then the three of them form a group they call the Drama Dolls. They do break ins together and steal small valuables, jewelry etc. Jeff is on a downward spiral after his wife's death, she is always referred to as Her until the end of the story. We are kept in the dark until the end on what happened to Her. Jeff steals, drinks, does pot, gets a corvette, and the biggest dresses as a female in cheerleader clothes. The character Emily totally threw me off until we learn more about her closer to the last half of the story. Each character is well developed and we see how each of them have been through traumatic events in their lives that have placed them all together. If you like a psychological fiction that is a bit on the bizarre then you will enjoy this book. Give it a try you won't know until you do. I listened to the audiobook book of this story. The narrator in my opinion is a bit monotone and I found he was hard to listen to at the beginning. I really had to give him time to grow on me. I found it felt like he was reading it out. I like narrators that sound like they are acting more than reading. I am not totally sure I would listen to another book by this narrator unless the book synopsis really grabbed me.